Watch out Sherlock, there's a new detective in town, and his name's Dirk Gently! For fans of the devout atheist writer/satirist, a new series post-Hitchhiker’s Guide to the Galaxy and a continuation of his whimsical sense of humour, was more than amazing. The Times, however, wasn’t sure about its commercial potential (even though reviewer John Nicholson called the detective novel “endearingly dotty”). Nearly 20 years later, BBC America and everyone’s favourite television saviour Netflix thought differently, adapting Dirk Gently’s Holistic Detective Agency for TV audiences; it’s loosely based in plot on Adams’ novels, but heavily based on his overall ideas of interconnectedness, time travel, daftness-that-eventually-makes-sense, and a whole lot of being bonkers. We’re talking murder, a missing girl, an irrepressible “holistic” assassin, a cute corgi gone rogue, a cult of bald-headed soulless tattooed men, a kitten, a hammerhead shark, a fake disease, a group of mayhem creating anarchists, and of course time travel! What?! The series opens with Todd Brotzman (Elijah Wood in yet another troubled-everyman, or everyhobbit, kinda role), a hotel bellboy with a nothing life: he has no money to pay rent (his landlord is the kind of guy who’s not averse to destroying Todd’s already-battered car with a baseball bat), his sister suffers from Pararibulitis (a condition Todd also had, it’s a fake genetic disease where you have hallucinations that seem super real! ), and he loses his master key to all the hotel rooms. On this particularly depressing day (for Todd), he’s asked to check up on the occupants of the hotel penthouse (they’ve had a “Do Not Disturb” sign on for over 24 hours); on his way up, he sees himself in the halls of the hotel wearing a bloodsoaked fur coat (yes, really! ), and then walks in on what sets this whole thing off: the gruesome murder (there are scorch marks on the sofa and bite marks on the ceiling!) of businessman Patrick Spring. Well, not quite the thing that sets it all off. Enter our titular detective Dirk Gently. Played by Samuel Barnett, Dirk Gently is a “holistic” detective who believes in the “fundamental interconnectedness of all things.” After Todd is fired from his job (his being a “person of interest” on the murder case and being warned by investigating detectives to not leave town pretty much seals his sacking), Dirk shows up at Todd’s apartment and decides that Todd is meant to be his assistant and best friend; it’s a job that Todd doesn’t really want (he has no interest in being the Watson to Dirk’s Sherlock) but Dirk believes that he might be uniquely qualified for these dual roles. Dirk’s beliefs apply to more than finding an assistant: he’s the kind of detective who doesn’t look for clues or evidence; instead, he investigates his cases by doing absolutely nothing and relies on coincidence and signs from the universe to guide him towards solving them. In his words, “My intuitions are rarely wrong but also rarely completely right.” Turns out, Patrick Spring, for some reason, hired Dirk to investigate his murder six weeks before he was killed. Why a millionaire would spend money on Dirk’s may-they-will-may-they-won’t abilities doesn’t make sense to the viewers, but, as most things do in a Douglas Adams universe, everything ties together by the end of the eight episodes. This method madness is a terrific narrative strategy for the entire series. Before everything falls into place, Dirk and Todd have to manoeuvre through a series of unfortunate events (even Lemony Snicket would be proud of the “unfortunateness” of the events) that unfold for them at the same time they do for us. We find out, when they do, that Patrick Spring’s murder is related to the kidnapping of his teenage daughter Lydia; that the kitten and the corgi are more than what they seem; and that the mayhem creating band of anarchists fuel themselves up with the energy of folks like Dirk, and Todd’s sister Amanda. We find out, when they do, what Bart Curlish (the mad crazy, grimy, and “holistic” assassin who has made it her sole aim in life to kill Dirk Gently and has gone on a message-from-the-universe murder spree until then) is actually meant to do. Watching the show is like hanging out with your friends Dirk, Todd, Amanda, and Farah (she’s the badass and neurotic nearly-FBI security guard to Patrick Spring, who’s searching for Lydia) to solve a jigsaw puzzle together. 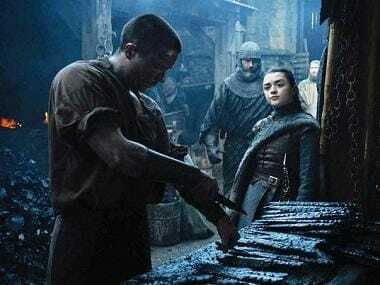 The show allows us to find the right puzzle pieces simultaneously and enjoy the unravelling of the mischief together, thereby avoiding online speculation and fan fiction to ruin it for those of us who like our simple surprises. 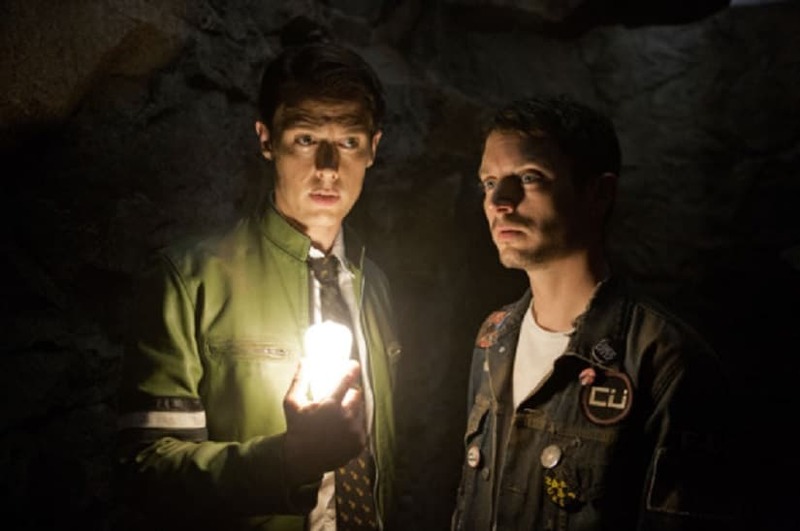 Unlike fan obsession surrounding shows like Game of Thrones, The Walking Dead and Westworld, and the insanely crazy ways in which it manifests itself on Reddit and other online forums, Dirk Gently’s Holistic Detective agency allows you to view it as something new, intriguing and addictive all on its own. 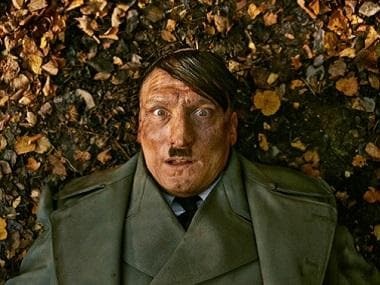 Despite being based on the novels, Max Landis (the show creator), BBC America and Netflix have given Dirk his own new identity, taking a leaf from Adams’ sense of humour and the Dirk Gently brand overall, but not much from Harry Enfield and Stephen Mangan’s portrayal of Dirk in BBC’s radio and TV broadcasts in 2007 and 2012 respectively. So who is Dirk Gently, you ask? In Adams’ books, he’s this charmingly lazy slob (the Big Lebowski comparisons go beyond just the lead character). On the show, he’s an earnest, over-eager and overly energetic detective who is the product of a shady military operation called “Project Black Wing.” Desperate to have friends who believe in his intuitions, him and Todd are just “two sane guys doing normal things”. Not. That’s the title of the last episode of the season 1. Throughout season 1, their little group of misfits (Dirk, Todd, Amanda, Farah, and to some extent Bart) tries to think and do, what Douglas Adams explains as, “Let us think the unthinkable, let us do the undoable, let us prepare to grapple with the ineffable itself, and see if we may not eff it after all.” Watching them not eff it all up in season 1 was so much fun, we can’t wait for the already commissioned season 2! Most meta reference: The mayhem creating group are called the Rowdy 3. But there’s 4 of them, and they’re later joined by Amanda. Is that a meta-reference to Adams’ Hitchhiker’s Guide to the Galaxy book series, which was supposed to be a trilogy in five parts? Best trope subversion: When Dirk and Todd are finally captured by the bad guys and are expecting the traditional “villain monologue” to explain their nefarious plot, the said villain Gordon (played by Battlestar Galactica’s Aaron Douglas) is as confused and flustered about the crazy goings-on as they are. The sheer beauty of a clueless villain! Funniest quote: When Sgt. Hugo Friedkin, a dimwitted government agent working with Colonel Scott Riggins to track down Dirk, mispronounces “according to the mission parameters” as “according to the mishkin parambular” while chewing gum because “the gum made his mouth go weird.” Lol! “That fence was not climbed, just ambitiously fondled.” — Dirk to Todd, when he tries to climb over a wired fence that isn’t even locked. Coolest scene: Any scene that has Farah or Bart taking down just about anyone throughout the show. Trained martial arts or insane gun-wielding, two badass female characters are exactly what we need in 2016!